If you’re planning a wedding that’s unique, unashamedly luxurious and hugely stylish, you won’t want to miss The National Asian Wedding Show which came to Birmingham on Sunday 17th March at the BCEC. The event included leading weddings service providers from across the UK from décor companies, caterers, photographers to make up artists and lots more with a new feature for 2019 “The Fashion Parade” which saw breath taking models gliding in top designer bridal wear and lavish pre-wedding cocktail attire. This year saw a record number of attendees all enjoying the day and soaking up vast amounts of information to plan their perfect day. Planning a wedding should be joyous and creatively fulfilling rather than stressful and The National Asian Wedding Show is designed in precisely that way. Bringing you all the inspiration you need, this first-of-its-kind platform is a luxury lifestyle and wedding exhibition that carefully curates only the best and brightest wedding professionals the country has to offer. The National Asian Wedding Show is by far the largest single source of information about wedding services that are not only the finest but also local to you. Whether you’ve been confused about venues or wedding planners, pouring over catalogues from decorators or entertainers, discussing caterers or holiday planners, researching hotels, fashion designers or home décor – the show presents the best on offer and will render you exuberant and optimistic! The exhibition was conducted on a grand scale and is replete with every element needed to create a magical wedding day. With a vision to amplify incipient trends and brands and to enlighten people about the best vendors in the industry, the show provided visitors with an experience like never before. 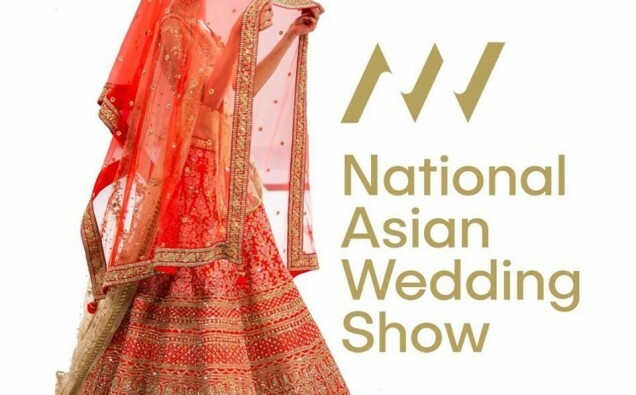 This event is definitely one in the calendar to be marked year, so register your interest today for forth coming shows at http://nationalasianweddingshow.co.uk.